United Launch Alliance (ULA) recently completed an Atlas V Launch Segment Design Certification Review (DCR) in preparation for the launch of astronauts to the International Space Station (ISS) from U.S. soil in The Boeing Company’s CST-100 Starliner spacecraft — ULA’s Atlas V DCR supported the Boeing International Space Station (ISS) DCR that was held with NASA at Kennedy Space Center in early December. 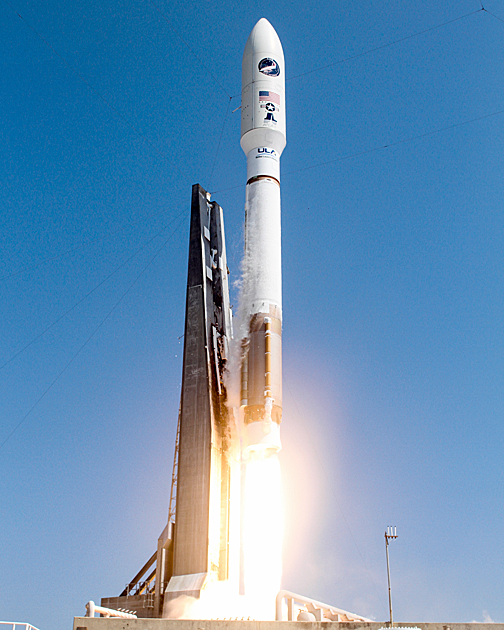 File photo of the launch of a ULA Atlas V rocket. Photo is courtesy of ULA. Barb Egan, ULA Commercial Crew program manager, noted that Design Certification Review is a significant milestone that completes the design phase of the program, paving the way to operations. Hardware and software final qualification tests are underway, as well as a major integrated test series, including structural loads. Future tests will involve launch vehicle hardware, such as jettison tests, acoustic tests, and, finally, a pad abort test in White Sands, New Mexico. Gary Wentz, ULA Human and Commercial Systems VP, added that ULA is progressing into the operational phase to launch the OFT and Crew Flight Test in 2018 substantial progress is being made toward a successful launch of Boeing’s CST-100 Starliner on the Atlas V.